The easiest and most delicious baked dessert ever! Made with either dried or fresh cherries, so you can make it year round! Cherries, eggs, milk, butter, sugar, flour and vanilla are all you need for this delightful cherry clafoutis. You might be one of the millions of people who don’t know what a Clafoutis is. It is a classic French dessert. Basically fruit topped with a batter and then baked until it forms the most amazing custard like pie. It is sprinkled with powdered sugar and served still just a little warm. You can top it with cream if you’d like, but you don’t really need to. Once you learn how to make a clafoutis, you will be making them all the time. They are so easy and they use mostly pantry ingredients that almost everyone always has in their pantry and fridge. Once you find out how easy it is to make a clafoutis, you will be making them all the time with what ever fruit you have on hand. You begin with your fruit. If using fresh cherries, pit and dice them (I use this cherry pitter – it’s also great for pitting kalamata olives.) 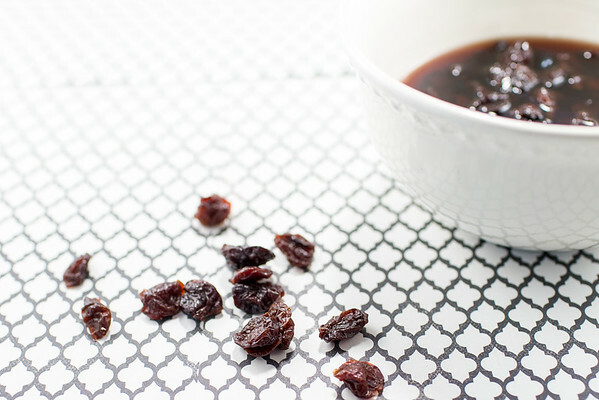 If you are using dried cherries, you need to plump them. You can use orange juice, cherry juice, water or in my case homemade cherry liqueur. The dried cherries need to soak for about 30 minutes. Make the batter by combining the eggs, milk, butter, sugar, flour, vanilla, and salt in a food processor until smooth. No food processor? No problem, just whisk everything. Pour the batter into a buttered baking dish and top with the fruit (don’t use the soaking liquid.) Bake. See how crazy easy it is to make a clafoutis? You’ll want to make them all the time. Really, it will become your go to dessert. I found this recipe for a basic clafouti in Home Made Winter a stunning cookbook. She gives some suggestions for other fruits you might try, like prunes soaked in rum or or pears and raisins soaked in brandy…hmm… might be a good thing for my Homemade Pear Liqueur. Julia Child’s recipe for Berry Clafoutis is also on my list to try. If you make this Cherry Clafoutis or use some other type of fruit, be sure and let me know! I’d love to know what you thought of it! 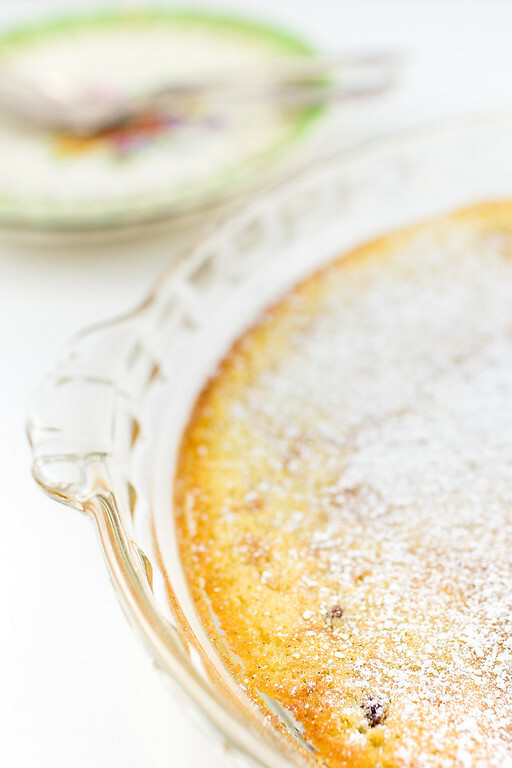 This Cherry Clafoutis is so easy and so delicious! For an adult treat the dried fruits are soaked in your favorite alcohol. Soak the dried fruit in the spirit or liqueur for 30 minutes, or dice the fresh fruit. Butter your baking dishes. Can use one big one or various small sizes (you will have a total volume of about 3 cups). In a food processor or bowl, process or whisk the eggs, milk, butter, sugar, flour, vanilla seeds, and salt into a smooth batter. Pour the batter into the baking dishes and arrange the fruit top (without the soaking liquid). Bake the clafouti for about 25 minutes or until set. Let it cool and sprinkle with confectioner’s sugar. Apples, pears, berries, plums, peaches all work. If using dried fruit, soak in a complimentary liqueur, juice or water for 30 minutes. Some ideas: prunes in rum, pears in brandy, berries in fruit liqueur like Chambord. I’ve never made a clafoutis because I thought it would be too difficult. I sit corrected! Thanks for sharing! Can’t wait to make this. Pinned! This is such a great idea for weekend breakfasts – my kids will be delighted. I will definitely make this – saved! I live in a cherry growing area in Northern Italy and always have more cherries than I know what to do with! (we get boxes from the farmers as presents!) I’ve never thought to use them in a clafouti. This year, I’m going to make it! Thanks for the inspiration! That sounds delicious! I have never made a clafouti! I love any fruit dessert for my breakfast! Makes me feel like I’m getting one serving of fruits and veges, early in the day! I love clafoutis, it really is so easy and tasty too – I typically make it with blueberries but cherry is the classic I know. Wouldn’t have thought of using dried so intrigued to try those too. I did not know what a clafoutis was. It looks good. Such a wonderful dessert, the Clafoutis. Have you tried apricots or prunes? I can recommend them both. I plan on trying all the fruits! I love clafoutis! This looks so delicious! Baking is soooo hard for me too. You are making the Clafouti look so easy to make. I like your recipe and cherries are my new favorite way to enjoy good desserts. I will definitely make this — and I love me some boozy cherries! YUM! I love fruit clafoutis and this one looks like a winner. I’d say you do bake, but you’re welcome to say you don’t as along as you keep posting recipes and pictures of baked goods as wonderful as this one. 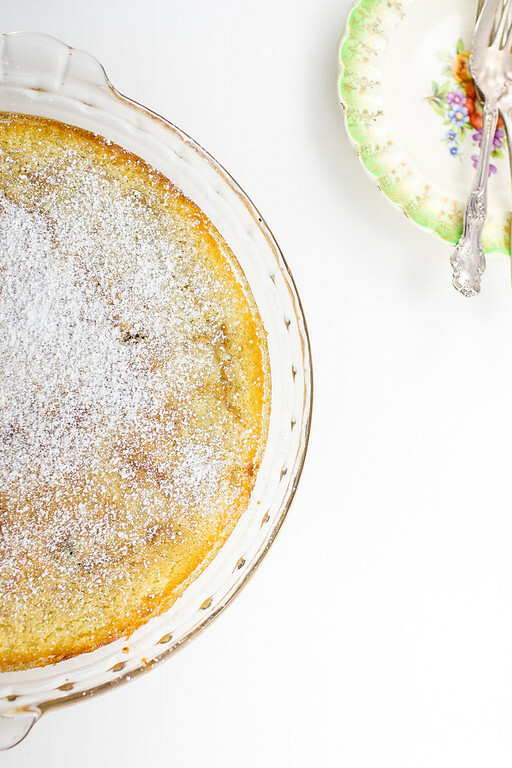 I love a clafouti for breakfast or dessert!